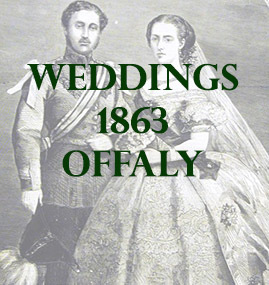 The following list contains marriages that mention places in county Offaly (Kings). At St. Peter’s Church, Dublin, William Charles Goodwin, Esq., C.E. to Olivia Charlotte, daughter of John Berry, Esq., of Chesterfield, King’s County. At Tullamore Church Isaac son of Jonathan Bradley, Esq., of Caslecomer, County Kilkenny to Maria Emily, daughter of John A Bradley, Esq., of Tullamore King’s County. At St. George’s Church, Dublin, John Hill Linde, Esq., of Eyrefield, county Kildare, and Hardwicke street, Dublin, to Jane, relict of the late William Purefoy Lum, Esq., of Lumville, King’s County. Nov 3 at St Peter’s Church, (Dublin) by the Rev J W Bowles, Rector of Shinrone, assisted by the Rev G.O.F. 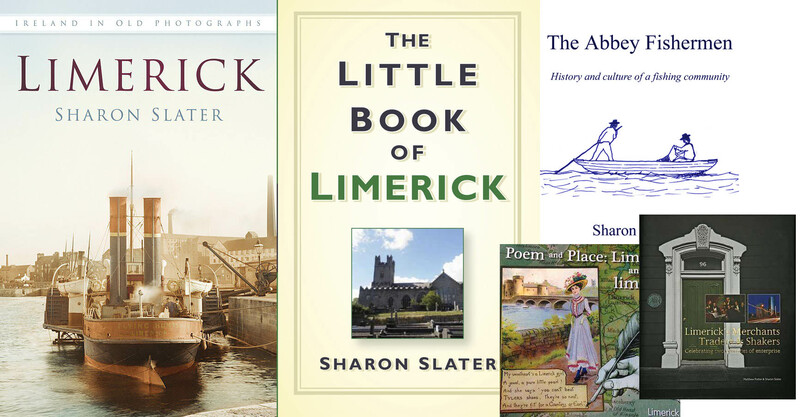 Patton, Ricahrd J Gabbett, Esq., of Caherline, county of Limerick to Elizabeth Agnes, Eldest daughter of the late John Minchin Esq., J.P. of Busherstown, Kings’s County.